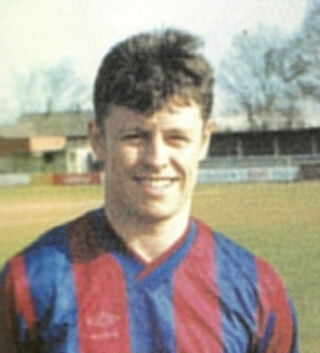 Mark was signed from Northampton Spencer in July 1992, and the right back made his debut in Diamonds inaugural game after the merger. He was ever-present in the opening 19 League game, missing just three Cup appearances before injury in the first half of the away fixture at Bilston Town in perilous conditions put him out of action for several months. He only made two further appearances before being joining Raunds Town in May 1993. He has since retired from the game.